A sugar-coated feast for the eyes and the imagination—this exciting 1,000 collection presents glorious full-color photographs of beautiful, outrageous, and deliciously decorated desserts, from extravagant wedding and birthday cakes to cupcakes and cookies that are miniature works of art. 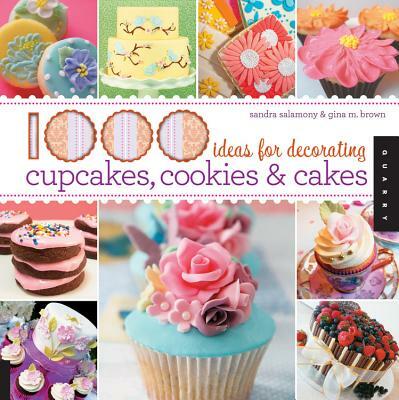 Like all of the books in our 1,000 series, this is not an instructional book, rather, it is a visual showcase designed to provide endless inspiration for anyone who loves decorative baking and entertaining. An author of various books on art techniques, home decor, and crafts, Sandra Salamony makes a living as an art director, designer, and artist in Traverse City, Michigan. Her projects and designs have been featured in magazines, books, and on television. Gina M. Brown is an architect and textile artist, living in the Traverse City, Michigan area. She and her sister Sandra Salamony are coauthors of 1000 Artisan Textiles (Quarry Books, 2010).